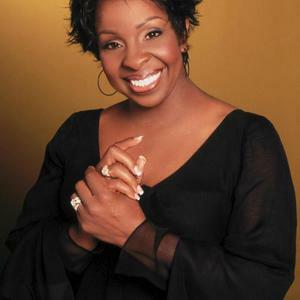 Gladys Maria Knight (born May 28, 1944 in Atlanta, Georgia) is a legendary American R&B/soul singer and actress. She is best known for the hits she recorded during the 1960s and 1970s, for both the Motown and Buddah Records labels, with her group Gladys Knight & the Pips, the most famous incarnation of which also included her brother Merald "Bubba" Knight and her cousins Edward Patten and William Guest. Knight started to record solo material due to legal issues that forced her and The Pips to record separately. Her solo debut "Miss Gladys Knight" was released in 1978 followed by "Gladys Knight" on Colombia Records. Knight recorded the title track for the James Bond movie "Licence To Kill." It became a Top 10 hit in the UK, peaking at #6. Knight's third solo album, "Good Woman" was released in 1991 on MCA Records (now Geffen Records). The album quickly climbed the charts to #1 on the Top R&B/Hip-Hop Albums chart. The album features the lead single, "Men" (#2 R&B). Her fourth album, "Just For You" followed in 1995. The album went Gold. Knight most recent album is her critically acclaimed ninth studio album, "Before Me", released in 2006.